As Patrick Magallanes walked around St. Mary’s University as a re-enrolled undergraduate student in Fall 1998, he couldn’t help but feel emotional. The last time he’d been on campus was more than a decade before. In the years Magallanes was away, he started a family and built a career marketing a variety of industries, including education. But with a renewed focus on his own higher education, he returned to earn a bachelor’s degree in Political Science in 1999. Magallanes felt empowered after earning that first degree because it was the “realization of something dating back to 1987,” he said. So he decided to come back to St. Mary’s — again and again — earning a Master of Public Administration in 2000 and a Master of Business Administration in 2002. 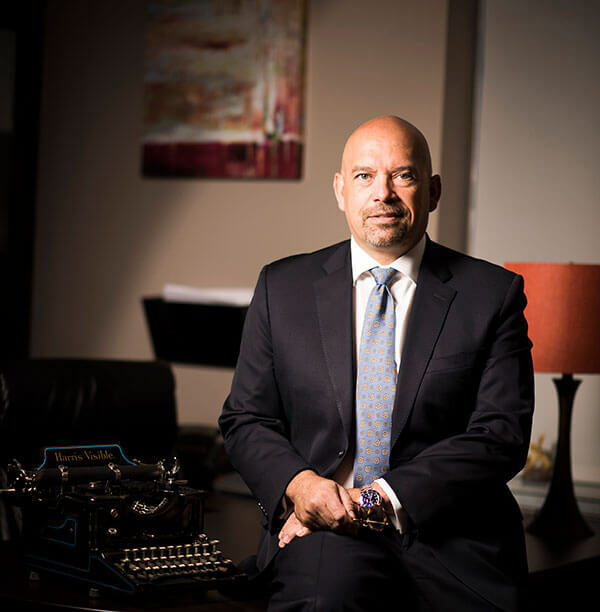 Fifteen years later, at age 50, the prodigal student is now in his second year of studies in the School of Law’s Doctor of Jurisprudence program. So why has Magallanes kept coming back to St. Mary’s? As CEO of Oncology San Antonio, a position Magallanes has held since 2014, he hopes to use a future law degree to not only expand the business of one of the oldest and largest oncology practices in the city, but also to bring together the fields of health care and law in a way that will further put Texas’ only Catholic law school on the map. His first step to accomplishing that was founding the St. Mary’s Health Law Society in August 2016. The registered law student organization currently has 34 members, and Magallanes said he expects it to continue growing. The second step was Magallanes and the Health Law Society leading an initiative to bring the upcoming School of Law-sponsored South Texas Chapter of the American College of Healthcare Executives (ACHE) Student Symposium to the St. Mary’s campus on Sept. 22. ACHE is an international professional society of approximately 40,000 health care executives who lead hospitals, health care systems and health care organizations. The symposium will create a forum for health care students and professionals, as well as law students and policy makers to learn and network under the same roof. In the meantime, Magallanes is focusing on finishing law school, getting up at 4 a.m. every morning to read for class for a few hours before starting his day. From his office at work, Magallanes can see physicians interacting with patients daily, something which has been both heartbreaking yet inspiring for him. “It’s the coolest thing to see, these men and women fighting cancer together,” Magallanes said. While being in law school has been challenging for Magallanes, “like learning a different language,” he said he’s enjoyed the challenge — and being back at his alma mater.